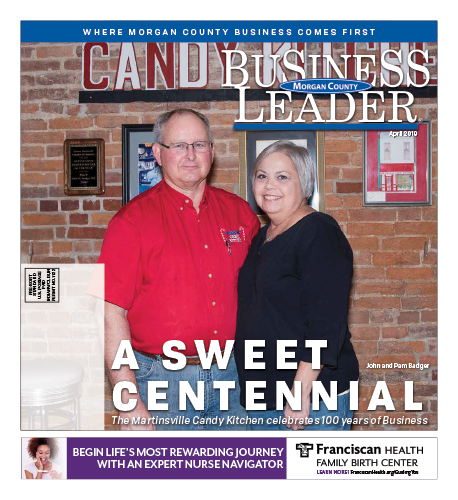 You might already know that The Martinsville Candy Kitchen is celebrating 100 years in business this year. There will be a big community celebration on April 6, 2019 with kids’ activities from 11 a.m. until 3 p.m. and an Open House at the shop at 7 p.m. True to form being an historic tradition in Martinsville, there are plans to have former owners there and lots of surprises. You might also already know the history of the shop. Greek immigrant, Jimmy Zapapas opened the business in April 1919. He produced candy canes and other sweet treats. His original recipes as well as his original equipment and tools have been passed down from owner to owner through the years. The store has actually moved several times along the street on the square. Hundreds of families both local and from far away have made candy from The Martinsville Candy Kitchen, especially candy canes, a tradition stretching across generations. What you might not know is that the Candy Kitchen came perilously close to closing its doors after 85 years. It was Martinsville residents John and Pam Badger that rescued the shop fifteen years ago. Pam Badger spent years of her life as an interior decorator and dreamed of having a home décor shop. She and husband John looked for a location where she could open a shop, but nothing was available that fit her vision. As members of the Morgan County Historic Preservation Society they were at a meeting when they heard that The Martinsville Candy Kitchen was going to close. The owners at the time wanted to get out of the candy business but couldn’t find a buyer. “We went to talk with her,” John said. “She was selling everything; all the equipment, all the recipes, everything.” They struck a deal and went to work with her for a month to learn how to make the candies. However, they did have families that jumped in when someone asked for help. The Martinsville Candy Kitchen under the Badger ownership has truly been a family affair.